Pergola covers create the perfect design element in the backyards of Pace, Florida, area homes. Featuring lattice roofs and beautiful columns reminiscent of Italian architecture, pergolas provide a beautiful aesthetic that will have you and your family spending more time outside enjoying the sunshine. 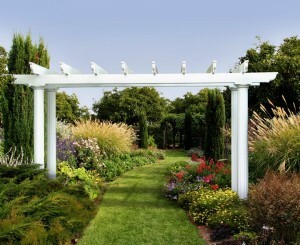 And, when you’re looking for a company to install a pergola cover at your home, call on Majors Home Improvement. TEMO pergola covers are built to last, featuring extruded aluminum components that offer enhanced strength and attractive electrostatic finishes that resist warping, cracking, and peeling, remaining in like-new condition for longer than most other competing products. Your new outdoor living structure will stand strong for decades, and require very little maintenance over the years. If you would like to receive further information about our pergola covers, contact Majors Home Improvement today. When you do, we’ll be pleased to inform you of the financing options we have available for qualified homeowners in Pace, FL, and nearby cities.